Children will begin to associate the number symbols with the actual amounts they represent, a crucial early math skill that comes long before counting. 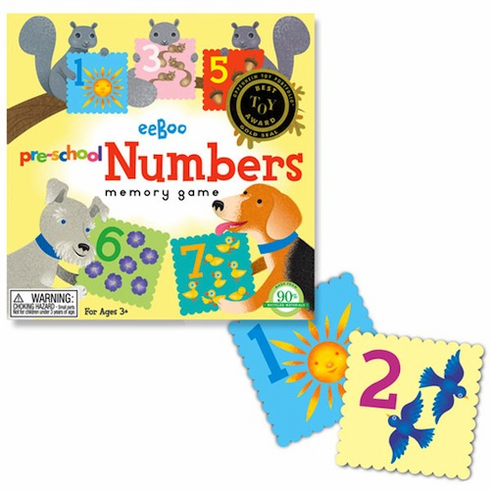 Children will be matching bluebirds to bluebirds and ducklings to ducklings at first, but when helped to read the symbols and count the objects on each tile, math starts to take shape. Large scalloped tiles on heavy board.